The past year has brought key developments both for the estate as a whole and at a number of our sites. In addition to the government’s Spending Review and the publication of our latest Strategy, we have seen landmark developments at our highest-hazard Sellafield facilities, demonstrating that we are making real strides forward on retrieving waste. 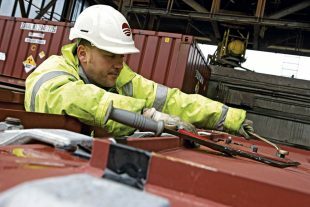 The Spending Review in autumn gave us a settlement that will require us to strengthen our focus on making substantial efficiency improvements in our operations, but also, critically, enables us to continue making progress across the estate. It is an acknowledgement that our work is important to the UK and ensures we are able to maintain our ongoing commitment to the priority decommissioning programmes. The provisions of the settlement are reflected in our third and latest Strategy, published earlier this year. The 2016 document looks ahead at long-term priorities and builds on the earlier strategy work of 2011, where we developed a series of themes. The approach remains broadly similar however we have refined our approach in a number of areas, particularly in waste management and options for reactor dismantling. Our priority focus remains on Sellafield, where most of the year was directed towards finalising the new management arrangements for the Site Licence Company, Sellafield Ltd, which transferred to full NDA ownership in April. This simplified structure replaces the previous Parent Body Organisation (PBO) model where the owner since 2008 was a private-sector consortium. The new structure will begin a new chapter in delivering risk and hazard reduction with greater efficiency, while accommodating more readily the challenges and uncertainties of this most complex site. Elsewhere, we are confident that the new PBO Magnox contract will deliver significant savings over the full life of the contract term. Among the achievements already secured are the merger of Magnox Ltd and RSRL into a single SLC, the completion of defueling at Oldbury, full clean-out of Hinkley A ponds and retrievals of waste from the Berkeley vaults. 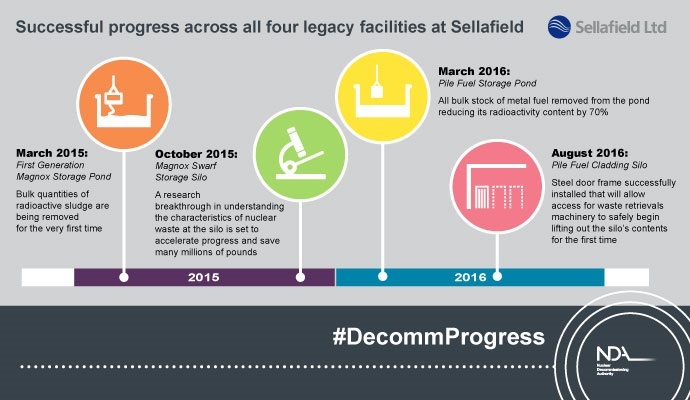 The 12 months from April 2015 to the end of March 2016 saw hugely significant achievements at the NDA’s 4 most hazardous facilities, which are all at Sellafield and are known as the Legacy Ponds and Silos (LP&S). They included 2 historic ponds and 2 storage silos, dating from the immediate post-war years, and represent the biggest challenge across the whole estate of 17 sites. Since the NDA was established in 2005, LP&S have been the most urgent priority for clean-up and funding. Another milestone during the year was finalising the arrangements for the new management structure for Sellafield Ltd, where the NDA has become the owner of the Site Licence Company. This replaces the previous model where the owner since 2008 was a private-sector consortium. The new structure will accommodate the complexities and challenges of the site more easily while also allowing for better long-term planning. The private sector will be involved as a contractor providing expertise and a range of services. Publication of our latest Strategy, which updates developments in our long-term approach since the 2011 version was published. Marking a historic milestone, the bulk stock of metal fuel was removed from the world’s oldest open-air fuel storage pond, Sellafield’s Pile Fuel Storage Pond. This reduces its radioactivity content by 70%, making a major contribution to the safety of people and the environment. 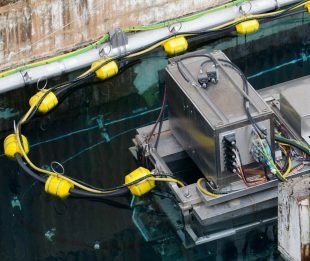 For the very first time, bulk quantities of radioactive sludge are being removed from the First Generation Magnox Storage Pond at Sellafield. The pond holds enough sludge to fill around half an Olympic swimming pool. 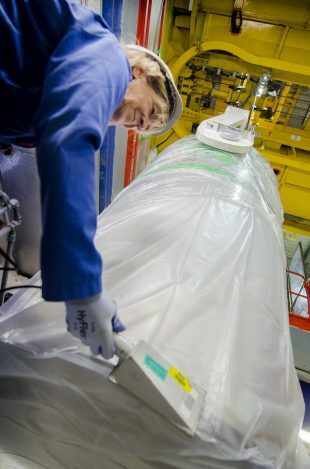 A research breakthrough in understanding the characteristics of nuclear waste at the Magnox Swarf Storage Silo. This is set to accelerate progress and save many millions of pounds, not only at Sellafield but at facilities across the world. From Dounreay, good progress has been made on transferring a range of nuclear material south to Sellafield, where it will be consolidated with similar material in safe, secure storage until a long-term disposal route is agreed. A successful conclusion to the Magnox era was marked by Wylfa’s closure after almost 45 years of operations including five additional years of generating life. Completed Oldbury defuelling, thus removing 99% of the site’s radioactive hazard. 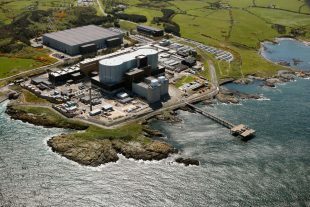 Continued defuelling and preparing for decommissioning at Wylfa which closed last December after almost 45 years of operation, including five years of additional generating life which secured £785 million extra revenue. Continued excellent performance in the diversion of Low Level Waste to alternative treatments such as recycling, combustion and use of licensed landfill sites. The total diverted now stands at 89% of material, reducing demand for space at the Low Level Waste Repository, established in 1959 as the UK’s only disposal route for LLW. Cost estimates for the whole 120-plus year programme have shown a slight decrease to £117 billion. Commercial income of £1.1 billion, achieved through contracts for reprocessing and management of spent fuels, supplemented by income from electricity generation at Wylfa. 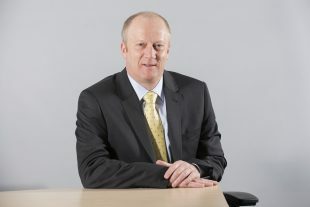 Looking at supporting activities, we are continuing to direct a greater proportion of our annual spend with smaller businesses, or Small and Medium-sized Enterprises (SMEs), and also taking advantage of the opportunities afforded by collaborative procurement procedures to incorporate contractual terms that seek to include SMEs and take socio-economic considerations into account. It is now over 5 years since the tsunami devastated Japan’s eastern coastal region and overwhelmed the power station. Some hugely impressive clean-up work is under way at and around the site, and I was personally privileged to be able to see this at first-hand. 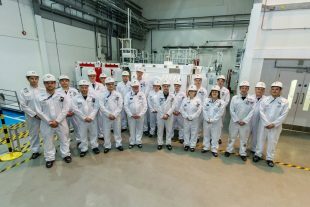 Our sharing of UK expertise is ongoing, part of the international nuclear community’s commitment to support the Japanese effort. 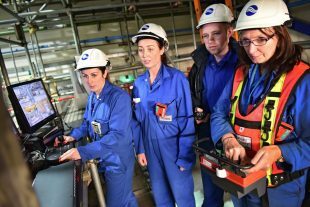 The skills agenda continues to be important for us, as well as for the UK as a whole, and we support a series of initiatives across our sites, from apprenticeships to graduate level and beyond. Our Research and Development (R&D) investments are also paying dividends, and the collaboration with other public organisations such as Innovate UK is working well, leveraging significant additional funds to take projects forward, with particular support for smaller innovative businesses. Summing up, it has been a good year in terms of overall site performance with important targets met or exceeded and the foundations firmly in place to succeed in the years ahead. on the reuse and immobilisation options. ..."
I am a fervent supporter of the GE Hitachi PRISM reactor option for the disposition of the plutonium stockpile and host a blog supporting its selection. Meeting our mandatory carbon targets is at the root of the Governments energy strategy. I'm willing to bet a fair bit of one month's-worth of my State Pension that no one at the NDA has ever mentioned to an MP or Minister that this particular plutonium disposition option would be a most worthwhile contribution to meeting our carbon targets.